All experienced talent hackers know it: recruiting is changing. It isn’t the same as it was last century or even a decade ago. So recruiters need to adjust and forecast trends. 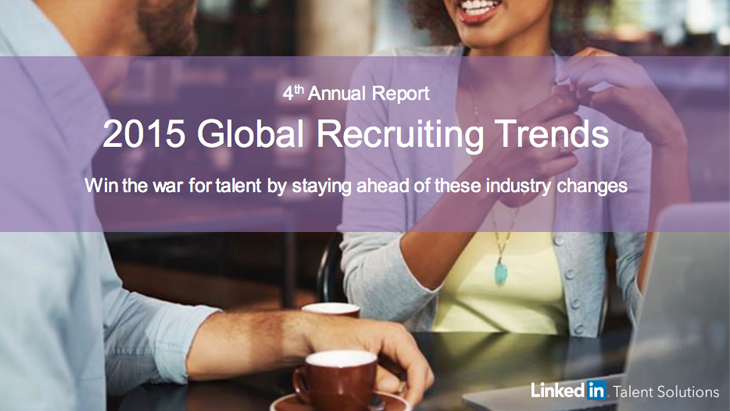 Fortunately, some reports are regularly published, such as LinkedIn’s 2015 Global Recruiting Trends. The report projects that recruiting companies will have to increase their staffing budgets and prepare to hire a lot more in 2015. And it’s a first in 4 years. Here is an analytical synthesis. Hires and staffing budgets will heat up for the first time in the last 4 years. But despite this, there will still be a gap between the budget and the needs, so companies will need to optimise their recruiting activities. the intense competition of firms on the job market, especially in the USA, Canada, South East Asia and France. the high compensation expectations of the potential recruits. This is the most important job satisfaction factor for US employees. So offering competitive wages can be quite decisive. Researching the financial offers of competitors is a nice move. Retaining just hacked talents is essential both in terms of money, time and success! Thing is, according to The Conference Board Job Satisfaction Survey, half of working americans are unhappy at work. Worse, according to Elance-oDesk, 79% of millenials would consider leaving their job and working for themselves in the future. This is why recruiters will need in 2015 to take care of their corporate culture and to make sure employees are happy. Big data analytics – It will spread and become cheaper (read our article on Big Data:the future of job recruiting). Social professional networks (To be noted that this medium is rising extremely fast). The best source to recruit in quantity (not necessarily talents) is the Internet job board, as more people apply there. To sum up, for sourcing, “career-centric online media” are the ones enabling to recruit both in quantity and quality : online job boards, social professional networks and company career websites. Why? Because both candidates and companies increasingly adopt mobile recruiting. Since candidates are more numerous to seek employment on their mobiles, companies are adapting and invest in mobile recruitment strategies. They optimise their job offer postings and career websites for mobile. Yet, recruiting companies need to keep developing this if they want to remain in the competition. Due to the competitive threats mentioned earlier, some companies might experience some difficulties in hiring. A solution would be to adopt an active and passive candidate strategy. What is that? Active? Passive? Active candidates are those who are at the time actively seeking a job whereas passive ones are those who are not looking at this point but who might be open to an offer. The problem is that so far, this large talented pool has been left almost untouched and active candidates have been the focus of recruiters. This is a mistake since 75% of professionals consider themselves passive. Yet, only 61% of companies try to recruit passive candidates. It even reaches almost 50% in France. The smartest ones in the matter are India (69%), the US (72%) and China (83%). Talent branding is the public perception of your company brand i.e. what talents think about it. It seeks to promote the firm as the best in the world in order to attract talent. And employers have finally been noticing how strong its impact was on recruiting activities. For example, a strong brand can reduce by 50% the cost per hire and by 28% turnover rates. And since it also allows to hire good talent, 73% of organisations are planning to put an emphasis on their corporate culture this year. In order to shape a good employer brand, a first step can be to create a career site for job seekers highlighting the company’s values and culture, but also successes. Another step can be to use social media such as LinkedIn, Facebook and Twitter to engage potential applicants. If talent branding has more recently begun to be prioritised, concrete actions are often still to be seen, in France for example. Pro active strategies need to be implemented. Globally, recruiters need to remember the most essential and long-term trends: the continued rise of social professional networks along other technologies, the accent on employer/talent branding and the need to tap into the passive candidates pool. 8 out of 10 companies in the world recruit students. This means the new generations are very present in the corporate world. If the Generation Z will soon be more present, the Generation Y is, with its most up to date skills, currently rising at a high pace. Interestingly, talent hackers have understood what young professional expect from their job. And it’s all correlated. The trend is that new professionals want strong employee development, a challenging work, a good work/life balance, a strong career path, and finally an excellent compensation with benefits. With these lessons drawn from LinkedIn’s 2015 Global Recruiting Trends Report, you’re more than well equipped to tackle the challenges of recruitment in 2015! Do you have an opinion? Please comment and share! Every Friday, receive our best posts in your inbox. 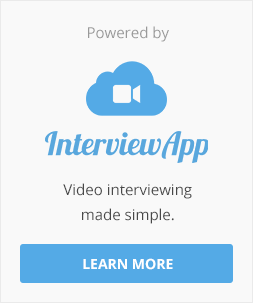 ©2010-2016 InterviewApp. All Rights Reserved. Privacy and Terms.